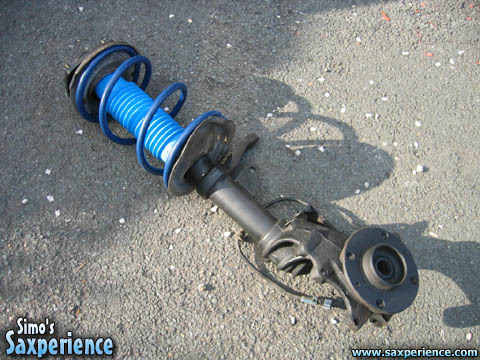 I fancied the idea of fully adjustable suspension, height and damping rate, but the kits on the market at the moment seemed a bit expensive for the the quaity of build! So I had to choose between two good quality kits... the Koni adjustable damping rate kit, and the well proven Bilstein suspension kit. After looking into a few things, it bacame apparent that the Koni kit could only be adjusted off the car, so theres not much real advantage in that! 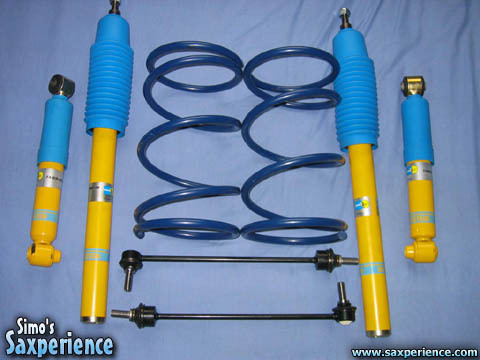 I gave John at GMC Motorsport a call and ordered a full Grp N Bilstein kit, with a pair of his spec, 40mm lowering springs! 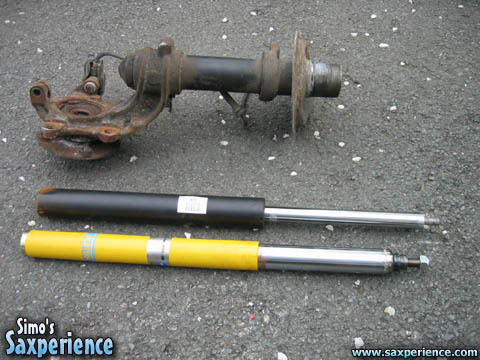 Whilst replacing the front and rear shocks and springs I decided to do the job properly and bought replacement wishbones, ball joints, anti-roll bars, shock bearings, shock top mounts and track rod ends. 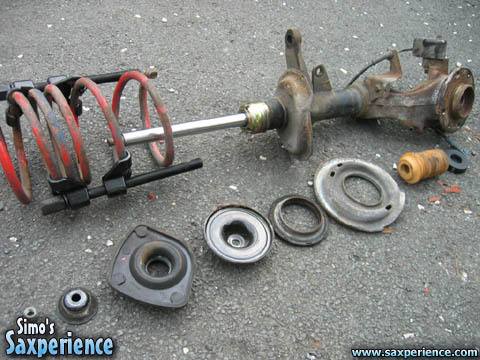 The suspension was getting a real overhaul! I stripped the suspension down myself and managed to fit the new kit over a few evenings... whilst trying to dodge the pouring rain! The ride of the car is much, MUCH better now. No longer does the car creak as you go around bends, or bounce out of roundabouts. The ride height has been raised a bit, which makes drivability much better! I've not scraped the front bumper once since... which used to be a daily occurance. hi what sights did you use for your parts? and how much did it cost you to overhaul it all ?